With this product, you earn 7 loyalty point(s). 7 points = £0.07. 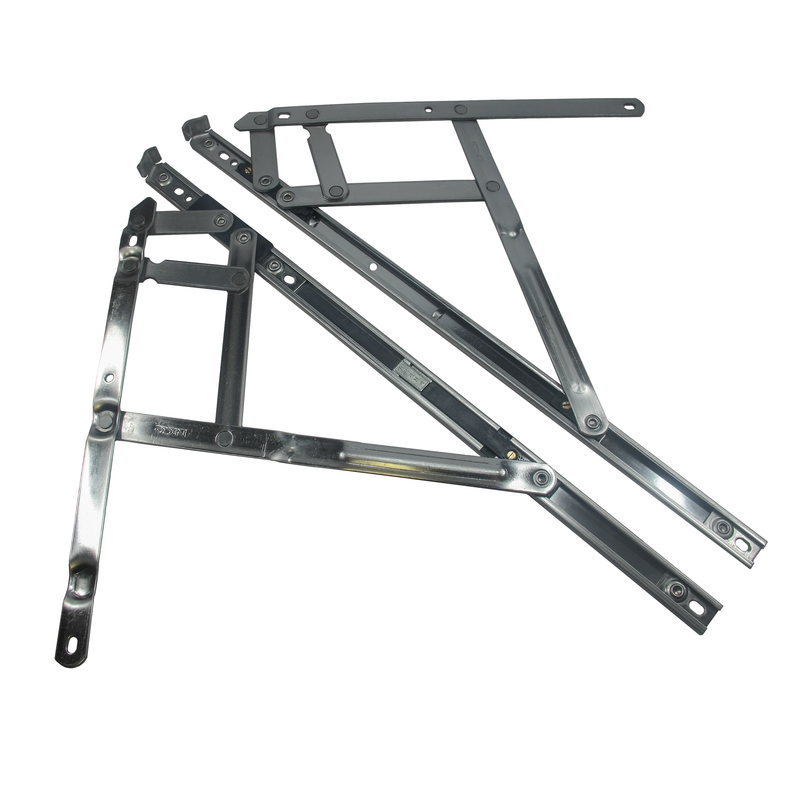 Manufactured in stainless steel, it is suitable for PVC-u, aluminium and timber windows, with a choice of 13mm and 17mm stack heights to suit most profiles. Slotted fixing holes in base channel and sash bar with final fixing hole in each component provide maximum sash/frame adjustment. The full ventilation opening position requires coordinated two handed operation. Friction Hinge mounting faces must be flat, parallel and provide the correct cavity clearance, 13mm or 17mm (-0mm+1mm). Friction Hinges should be fitted with the end-cap abutting the corner of the window frame. The centre line of both vent and frame arms should be coincidental and parallel. Size and weight parameters are to be strictly observed – please refer to Nico for other applications. After installation, the friction screw should be adjusted to obtain the desired resistance. All window hardware will require regular inspection, cleaning and maintenance in order to operate in the manner for which they have been designed.